The largest choice of golf destinations combined with superior service at competitive rates. While Hua Hin still remains a royal and high society favorite, this traditional Thai resort has developed many golf courses over recent years, combining the new attractions of a modern golf holiday destination with local charm. Whether you are traveling to Bangkok for leisure or business, a game of golf could be just the thing you need. You can play some of the world’s most distinguished courses. 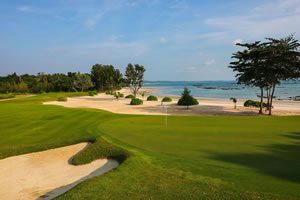 Unlike other Thailand golf resort areas, where one or two famous courses are used as magnets to attract golfers, Pattaya makes an all-out attempt to provide the best golf for players of all abilities. In recent years Chiang Mai has become an increasingly modern city and has been attracting more and more golf visitors each year. Handicrafts of silk, silver and wood are timeless souvenirs for golf visitors. Danang, Hoi An, and Hue are connected to each other by modern coastal roads and tunnels, Together they make up the Vietnam’s Golf Coast. Vietnam’s recognition as an up-an-coming golf destination is no secret. There are several championship golf courses in Saigon such as Long Thanh, Vietnam Golf & Country Club, and Twin Doves. While typically reserved for member’s play, our specialized golf travel agents can confirm tee times for Saigon golf visitors. Bali the “Island of the Gods” is one of the highest quality golf destinations in Asia. Golf in other places may be similar, but Bali, with the surrounding beauty of the ocean, mountains and unique island culture, provides you with a truly unique and authentic golfing experience. Malaysia is one of the few destinations in South East Asia where golf remains accessible and affordable. You can enjoy a round of golf surrounded by the cool hills and tea plantations or alternatively head down to the fringes of the South China Sea in this country of over 200 golf courses. Siem Reap is the main golf destination in Cambodia. There are 3 international standard 18-hole courses each with their own variety and challenges for everyone from amateurs to professionals. The Asian Golf Explorer is the complete golf experience featuring four South East Asian golf destinations. Golf in Malaysia, Thailand, Cambodia and Vietnam and experience Asian golf at it's very best. 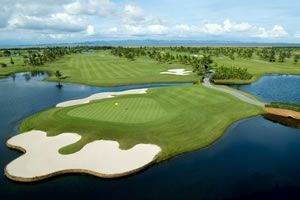 The Best of Thailand Golf Expedition covers four top golf destinations. This golf package is an excellent for first time Thailand visitors wishing to combine the best golf with Thai culture & history. Golf and explore three Asian countries in one journey. The Asia Golf Package begins in Bangkok the golf lover's paradise. Play at prestigious PGA venues and enjoy a private cruise along the Chao Phraya River. Now is the time to golf and explore two of Asian’s fastest growing golf destinations. Golf at the top golf courses in Saigon and Siem Reap and learn about the ancient Vietnamese and Khmer cultures. The word is out in the Asian golfing community: Kansai, Japan has become one of the hottest Asian golf destinations in 2019. With a wide variety of elite courses and new international daily airline routes to all over Japan, international golfers will be flocking to Japan.